Ehsan Hajsafi and Masoud Shojaei have been told they'll never represent their country again after taking part in match against Maccabi Tel Aviv. Two Iranian footballers have been told they’ll never play for their national side again – after playing in a European club match against Israeli opposition. 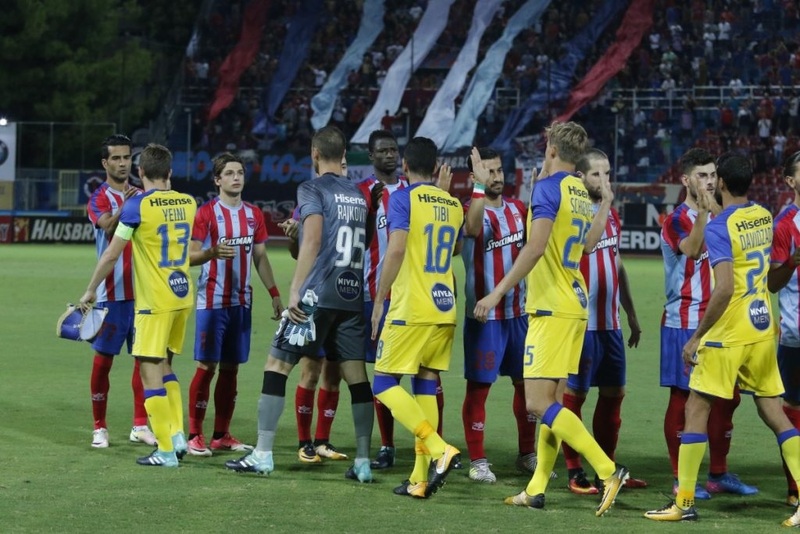 Ehsan Hajsafi and Masoud Shojaei, who play for Greek side Panionios, took part in last week’s Europa League third qualifying round second leg match against Maccabi Tel Aviv, having refused to travel to Israel for the first leg, a week earlier. As a result, and following a a promise to “thoroughly examine the full extent of the matter”, Deputy Sports Minister Mohammad Reza Davarzani said they will never wear the national shirt again, telling state television: “Shojaei and Haji Safi have no place in Iran’s national football team any more because they crossed the country’s red line. The Israeli Foreign Ministry welcomed the Iranian players’ decision, with spokesman Bahram Ghasemi saying: “This is an illegitimate regime which we don’t recognise.